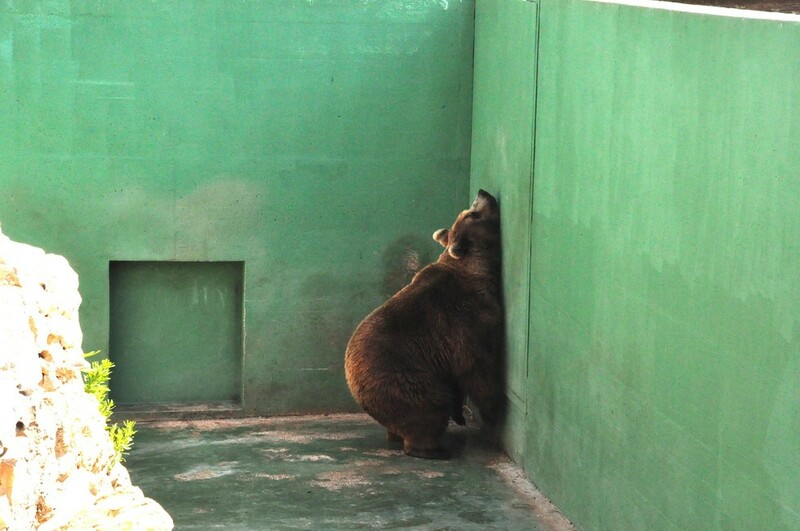 In a photograph taken at an Italian zoo, a brown bear leans his body against the concrete wall of his enclosure. He looks desperate, depressed, despondent. He stares up, seeming to search for a way out. This bear isn’t the only one — two other bears in the enclosure look equally depressed. 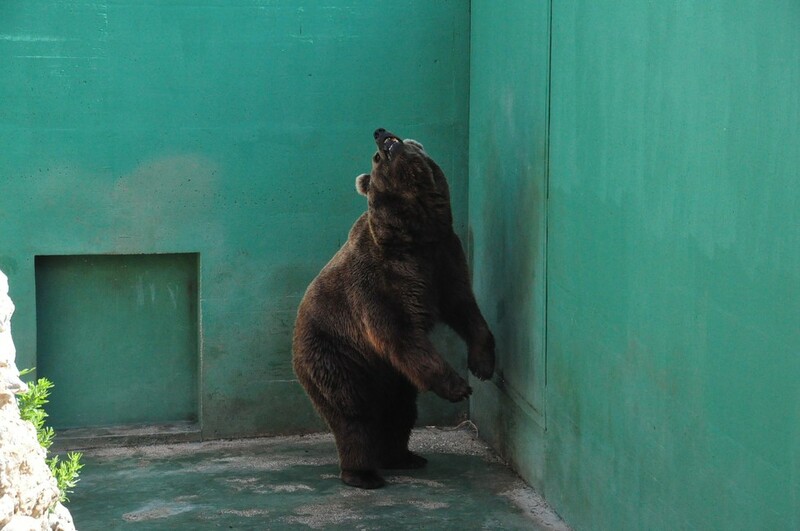 For legal reasons, Angelini isn’t able to reveal the name of the zoo where the three brown bears live, or its exact location, but she said that the conditions are as substandard as they appear in the photo. While the bears have both an outdoor and indoor area, Angelini estimates the total space for three animals at around 820 feet — in the wild, brown bears can travel more than a hundred miles when looking for food. The bears aren’t the only animals living in substandard conditions at the zoo, Angelini said: Big cats, elephants, primates, birds and rhinos also live in enclosures with little to no environmental enrichment. 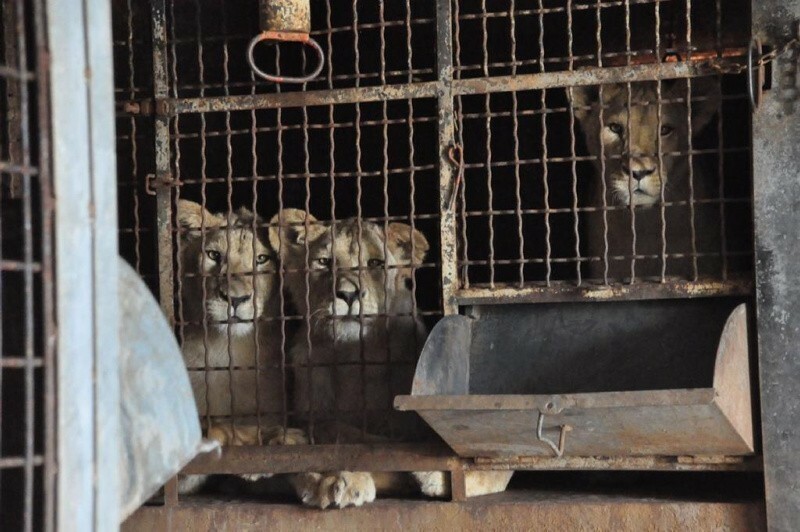 What’s more, some of the other animals are expected to perform for visitors, even though zoo performances are illegal under Italian law, according to Born Free Foundation. The public is also allowed to feed the animals, and, in some circumstances, they’re allowed to touch them, according to Angelini. 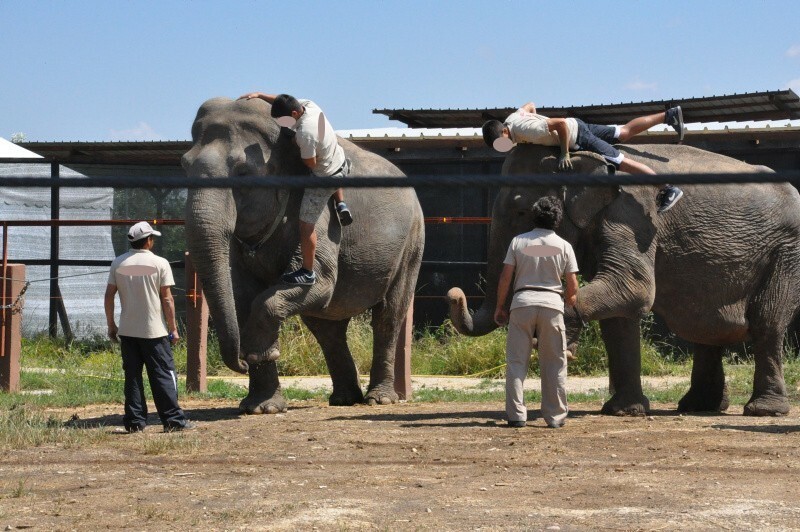 This doesn’t just happen at the one zoo — Angelini explained that several Italian zoos keep animals in similar conditions. The bears also hit the walls to try and get their keepers’ attention, according to Angelini. What they’re probably doing is asking for food, she said. 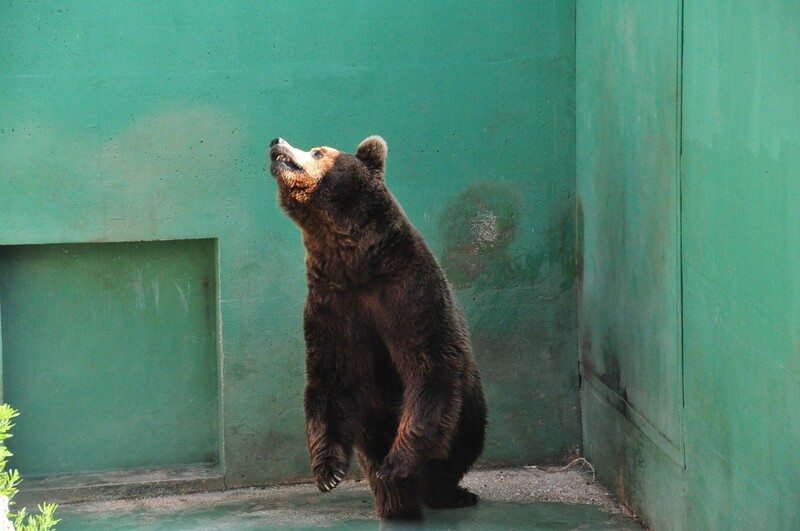 While the bears will never be able to be released back into the wild, Angelini said that LAV Nazionale, along with Born Free Foundation, is currently campaigning to make life better for the animals at this zoo. 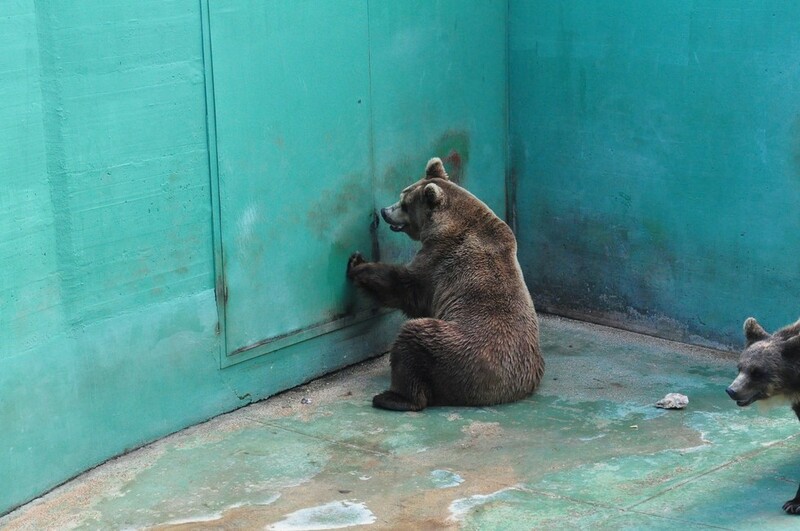 To help the brown bears — and other zoo animals in Italy — you can sign this petition or donate to LAV Nazionale here. Is Your Pantry Contributing To Deforestation? Taking Premarin Or Prempro For Menopause? You May Want To Stop After Reading This!